Kristen Wilkins « Michele with Just Marry! An amazing wedding sprinkled with lots of love. I love to talk about this wedding. It was two great families with wonderful friends. There was so much love and happiness at this wedding. And well, that’s what it’s really all about. This wedding was different. Not your run of the mill, looked like last weekends wedding. 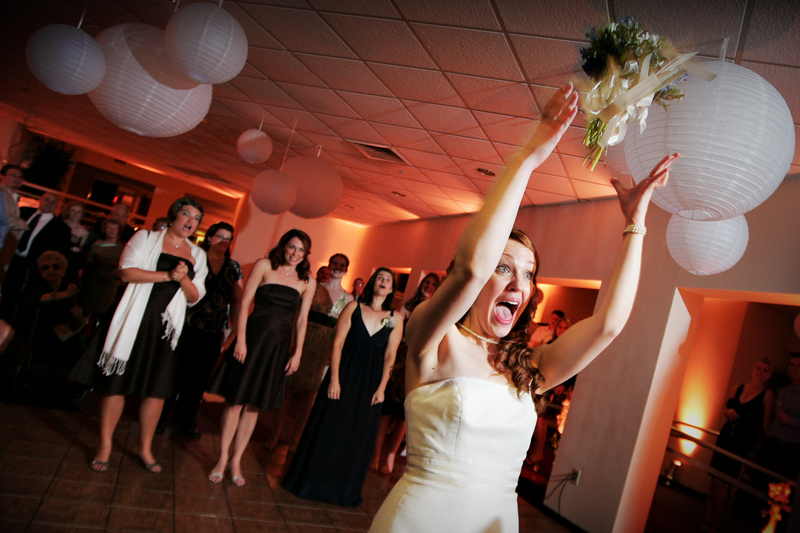 The bride is an actress and had very specific ideas about what she wanted for her wedding. I love that in a bride. After all, it’s her wedding. I love being able to help point her in the right direction based on her vision. All of the stars aligned for this wedding. From beginning to end on the wedding day, this wedding was virtually flawless and as a wedding planner, that is a true rarity. Something always goes wrong. But, the vendors were on time and brought the correct products, the venue was cooperative, the wedding party and family were ready to go on time for the wedding and the weather even stayed sunny. Definitely hot, but still a beautiful backdrop for the ceremony and cocktail hour. Perfection on a wedding day is not easily achieved. 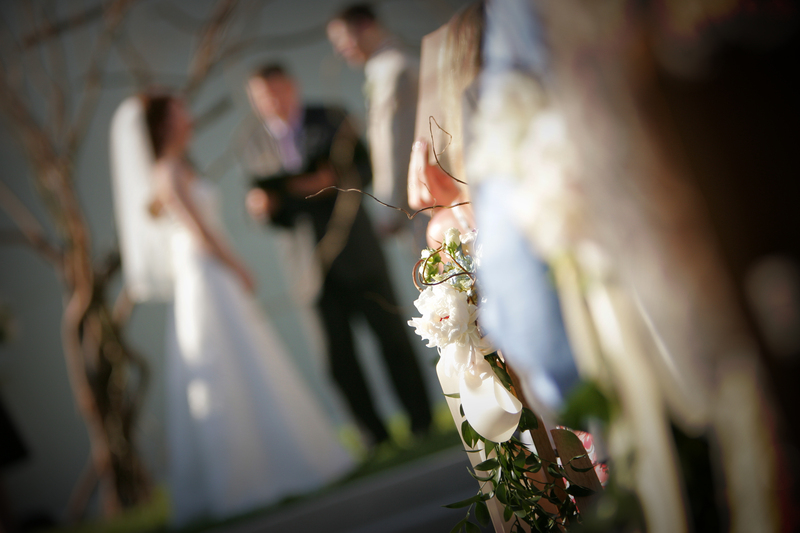 We, wedding planners have all of the ingredients to oversee. I expect such perfection that it really does consume me, but the reward is always in viewing the photos and video. Enough of my ramblings. I asked Kim to answer some questions about her wedding, so that I could share her wedding day with you, in her words. We invite you to enjoy a Just Marry! real wedding in both pictures and words. Where did you all first meet? Tell me about the engagement. First, you must know that both Kim and Jay love word games. They often challenge each other in Scrabble and love to do crosswords together. While on a trip to Orlando (they both live in Manhattan), Jay surprised Kim with a crossword puzzle he had made her. The theme was “Can I ask you a question”, with such answers as “is this seat taken” and “to be or not to be”. Jay insisted she work on the puzzle right then, so she proceeded to solve it (with his help, naturally). The next night, Jay had made reservations for dinner at Manuel’s on the 28th, a restaurant they had always meant to visit while living in Orlando. As the two finished dessert, the waiter returned with a special delivery for Kim. To her surprise, it was the completed crossword puzzle, but with an additional clue: “The most important question of all”. The answer was made up of four answers in the crossword puzzle: “will – ewe – Mary – mi”. As Kim finished putting things together, Jay got down on one knee, pulled out the Tiffany’s box he’d kept hidden, and made the question official. Kim of course said “Yes” through tears of joy, and the waiter reappeared with two glasses of champagne! What is your favorite detail of the wedding? Seriously, too many of our favorite things to choose one. The day is a blur of joy. . . I loved it all. I was so giddily thrilled to see the venue with all the details pulled together . . . the DIY projects my family and Jay helped create, the wedding “cake” by Bake Me a Cake complete with a bird topper pulled from a graphic on our invitations/programs — designed by my super talented friend Jessica Rodgers, the florals (and the blue mason jars that my parents lovingly tracked down), the paper lanterns, the lighting, the mashed potato bar!. . . it was the perfect backdrop for a celebration with our closest friends and family. My bouquet had 3 calla lilies for remembrance of deceased loved ones, and the stem wrap was material taken from my mothers wedding dress — it was very special to me. 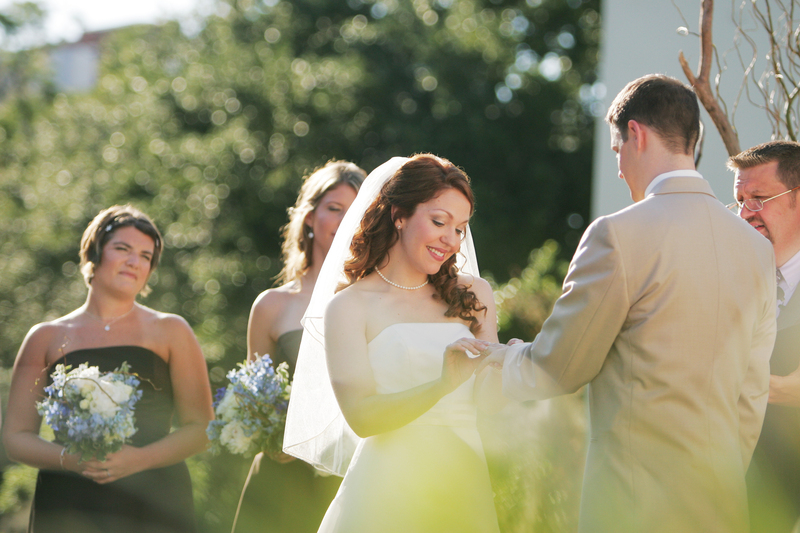 What was your biggest challenge to overcome while planning your wedding? General: the plethora of design resources online! It’s overwhelming! Specific: the girls dresses! I kept meaning to order the final 2 bridesmaids dresses, but between school and production work the time slipped by. . . three months later I discovered the line had been discontinued!!! The good news was that they were discounted big time, the bad news was that we had to call at least 7 Davids Bridals to track the elusive sizes down. Advice to future brides? Helping with details like this is what Just Marry does best !!! No need to go crazy with issues like this yourself when you have trusty planners in your corner. 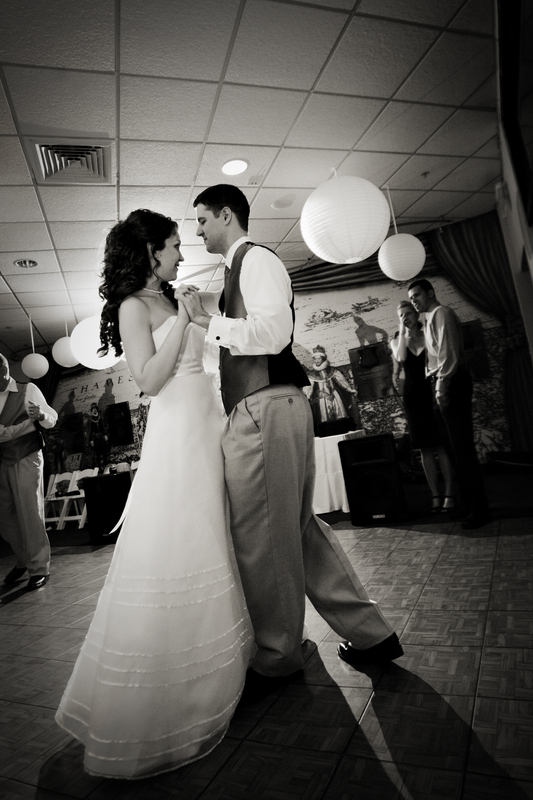 What is your most memorable moment of the wedding? 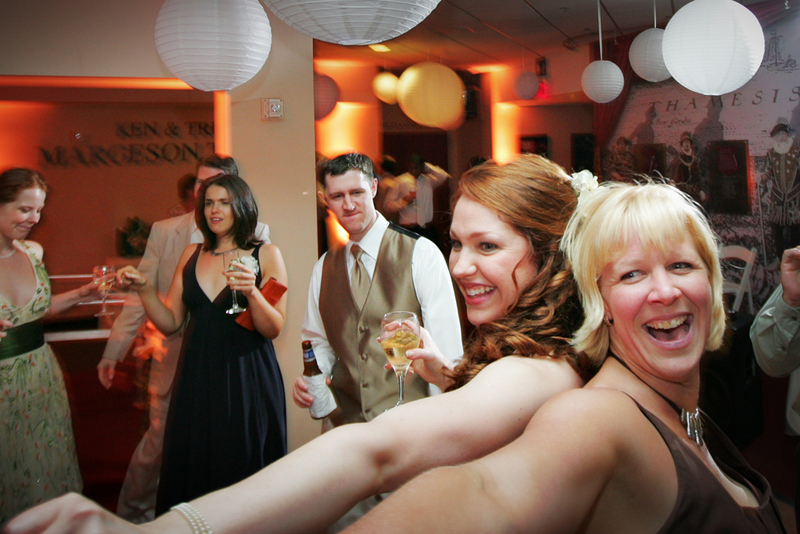 KIM: When we danced to “In Your Eyes” — and the speeches at our reception. So heartfelt and touching. Is there a funny moment? Looking through our “guestbook” the day-after was also hysterical — so many funny pictures and captions! I am so glad we chose to have a photobooth, I will long treasure that guestbook. 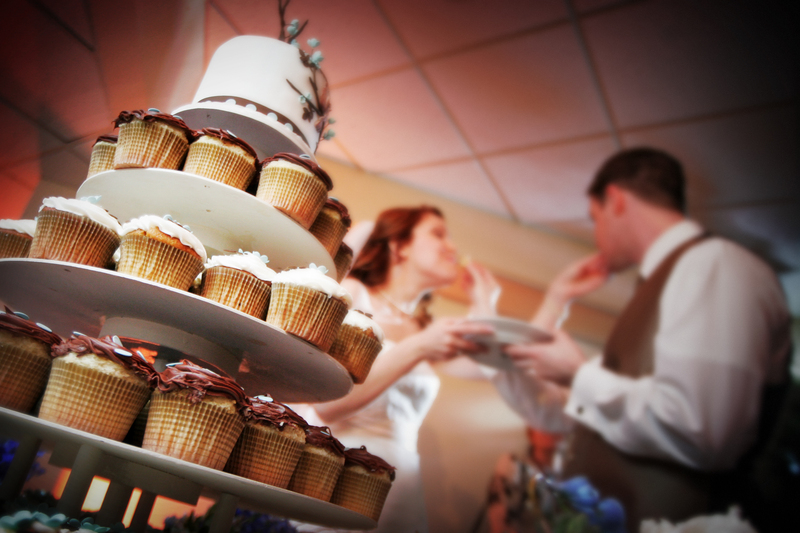 Was there an unexpected event on your wedding day? Honestly, Just Marry! 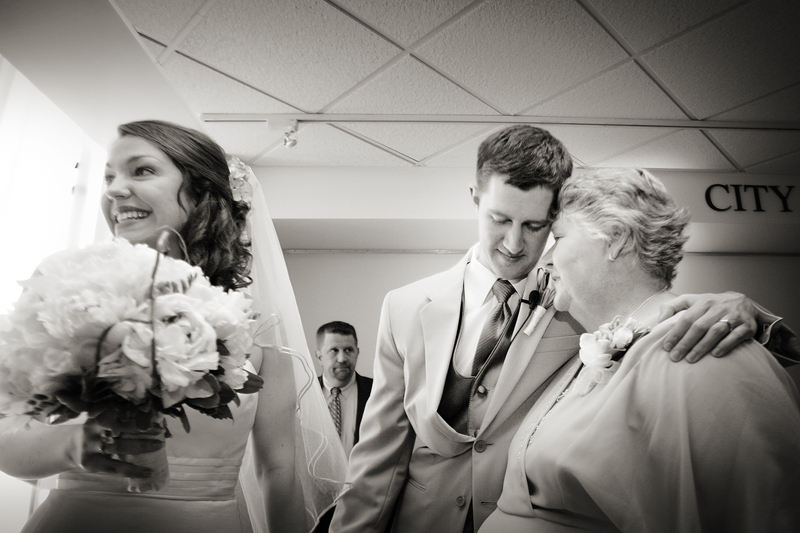 took care of everything on our wedding day — if there were any snafu’s, we had no idea. Can you give some advice to a bride who is planning her wedding? I kept an idea-book that helped me when meeting potential vendors (I know you were waiting for mention of this one, Michele ;). I cut-out all of my favorite images from magazines and online resources, and collaged them in a journal. I think it gave our vendors an immediate sense of what Jay and I wanted — and it helped me remember off-beat ideas I came across. There are an abundance of resources and it’s easy to get overwhelmed, and this was an easy way to stay focused on our favorites! This is by no means a new idea, but my advice is to make the wedding and reception as personal as possible. Choose details that mean something to you and your future husband — and don’t shy away from bringing back old traditions or kicking tired ones to the curb, whatever suits you! You’ll end up with a celebration that is a unique expression of your love for each other . . . and it doesn’t get much better than that. I adore the displays at Anthropologie. . .I think we started there. I knew I wanted a celebration that wasn’t terribly formal, and felt like it had homespun elements. Along the way we came up with the phrase “rustic elegance” — making choices such as using blue mason jars to hold the florals, a chalkboard for our seating arrangements, and cupcakes instead of regular cake (with a cupcake stand built by my dad!). We also worked with Lee Forrest to incorporate branches into our table arrangements. . . and he designed an archway that added so much to the aesthetic of our wedding cerimony. I didn’t even notice it on our wedding day, I was too focused on Jay. . . but it stands out in the photos! 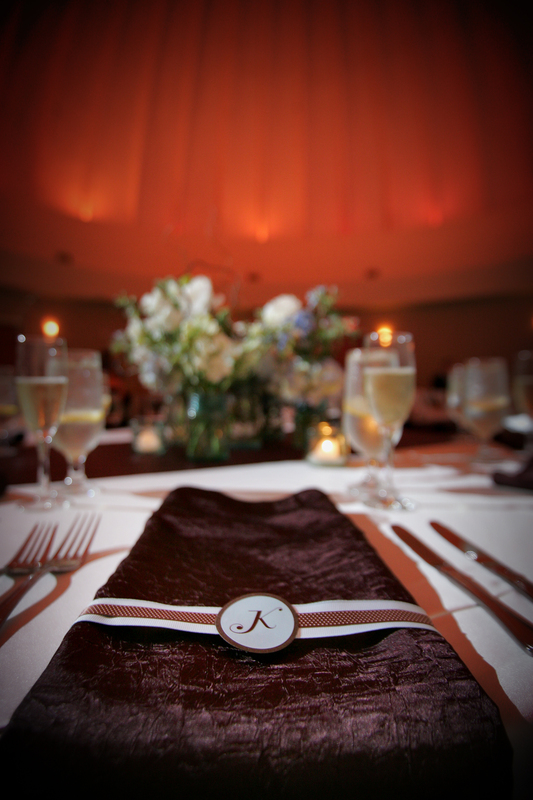 Along with Just Marry!s help, our vendors really brought our ideas to life. 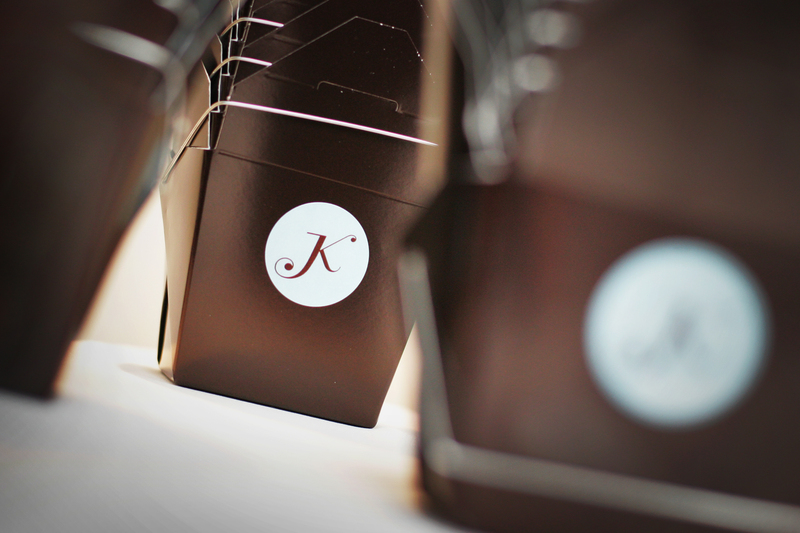 We sketched a JK logo which was refined by a friend who is a graphic designer — we used that on our save the dates and invites, as well as on napkin rings we crafted and the take-home boxes for our candybar. That simple element really tied the entire wedding together, from start to finish! Eeeek! Also impossible to narrow this down, as Scott is just an incredible artist. I love the shot on your blog. 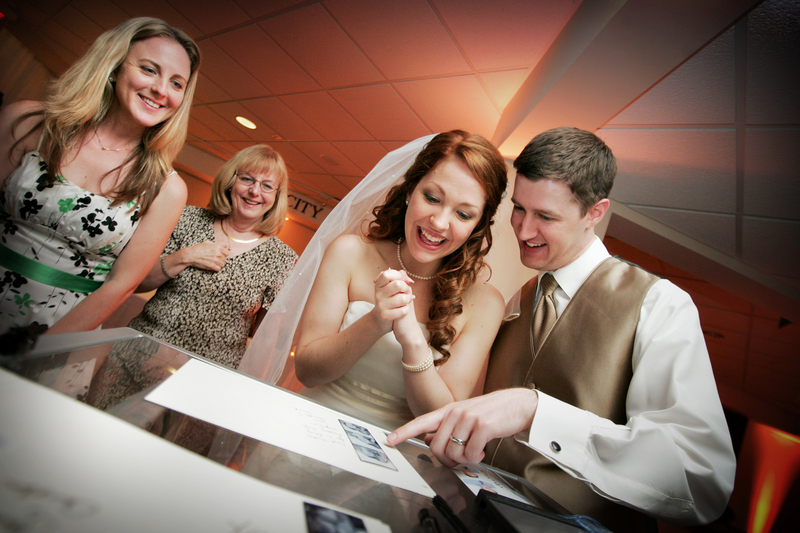 . . me slipping the ring on Jays finger, with two of my dearest friends looking on. 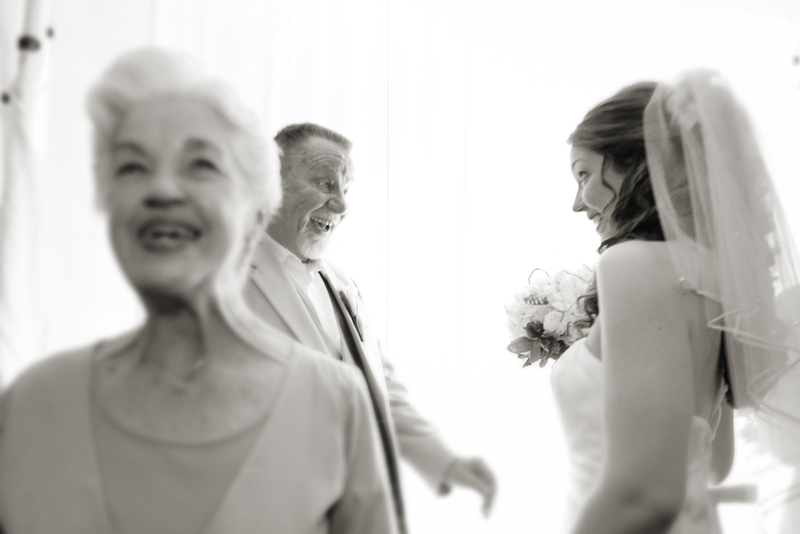 I also love love love the shot of my dad and I (with my mom blurry in the foreground) — just after the ceremony. His expression is priceless!! He looks so thrilled and excited. There is a surprise shot of my cousin and I dancing that is pretty amazing too (she has short, blonde hair and we are dancing back to back).